GK Detailing Pte Ltd was incorporated on the 16th of May 2017! 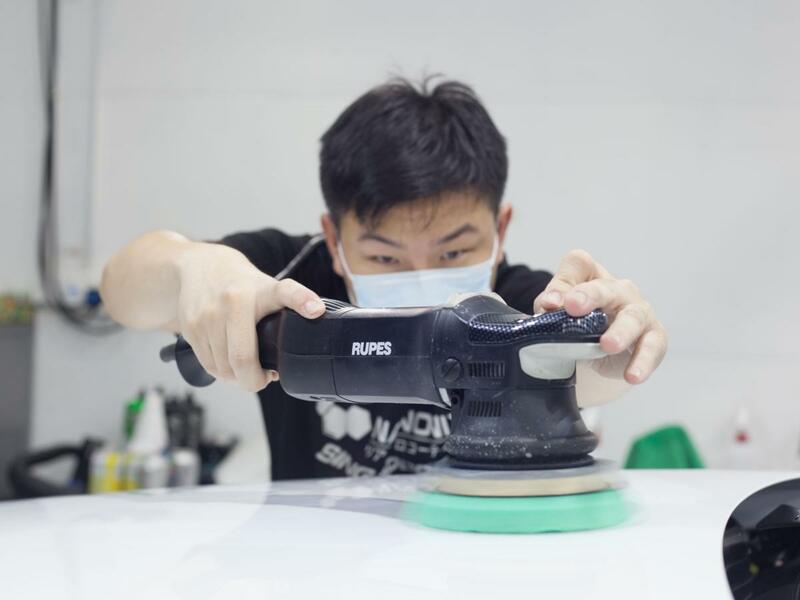 Back then, we were known as Ace GK Pte Ltd, providing premium Ceramic 9H Coatings to owners who are looking at premium grooming services and high end workmanship detailing shops. 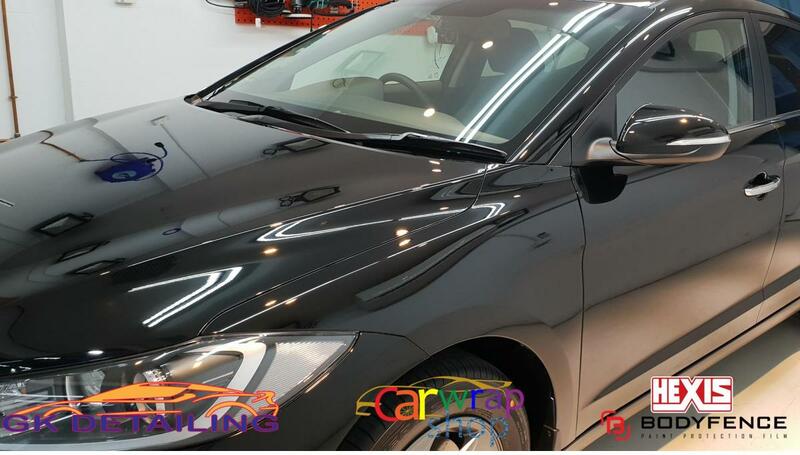 Over the last one year, we have quickly and successfully established ourselves as one of the best car paint protection applicators in the market! Our reviews on our workmanship and customer-orientated services were excellent and undisputed as we continued to upkeep our high standards. 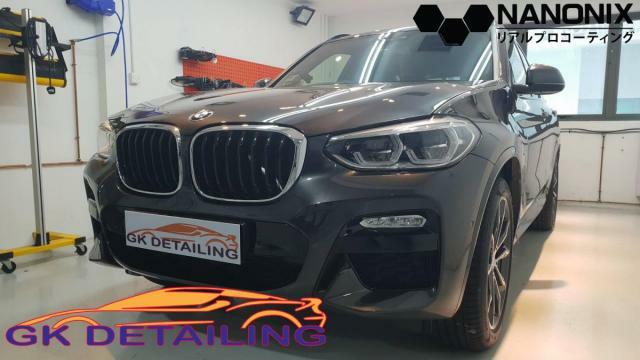 The bosses of GK Detailing have been in the car detailing business since 2016, having had experience with different brands of Ceramic 9H Coatings and Paint Protection Films! The never-ending pursuit of looking for brands that are better has allowed the bosses to grow the company fast, as customers in Singapore can be very particular about the product used on their car. As such, GK Detailing promises to provide Ceramic 9H Coatings that are of high quality and yet, affordable to the masses. 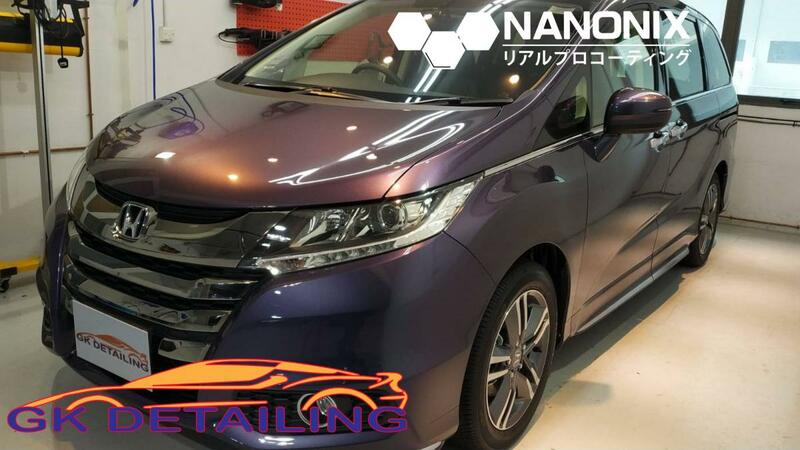 On 15th October 2018, GK Detailing became the sole Approved Applicator of NANONIX, a premium brand of Ceramic 9H Coating from Japan. 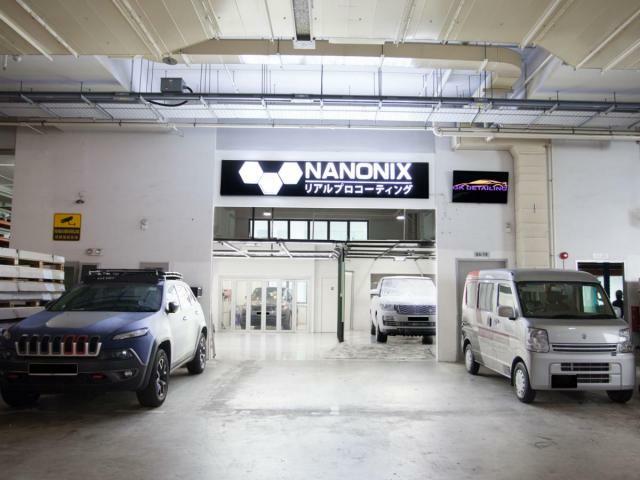 NANONIX is genuinely made in Japan, has proper certifications from SGS - the world's most trusted testing company - with regards to the hardness of NANONIX Ceramic 9H Coating to provide customers with an ease of mind when choosing between the many brands out in the market. The decision to represent NANONIX was to adapt to the everchanging landscape of car paint protection here in Singapore. With the change in branding, we were able to cater to the Premium High End market and also the more Affordable Middle Range market. Despite these changes, GK Detailing continues to upkeep our professional skills and excellent workmanship, doing our utmost best for our customer's cars! 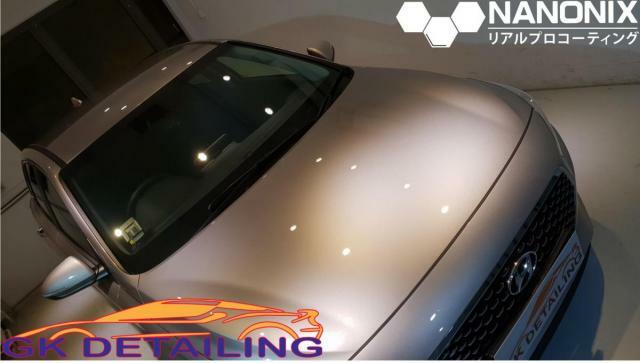 On top of only just providing Ceramic 9H Coating, GK Detailing also underwent a full day of Paint Protection Film (PPF) training on the 11th September 2018, held on our premises by HEXIS, a premium PPF brand from France! HEXIS BODYFENCE is a high-quality PPF that promises to increase your car's gloss level, while protecting it from environmental hazards! 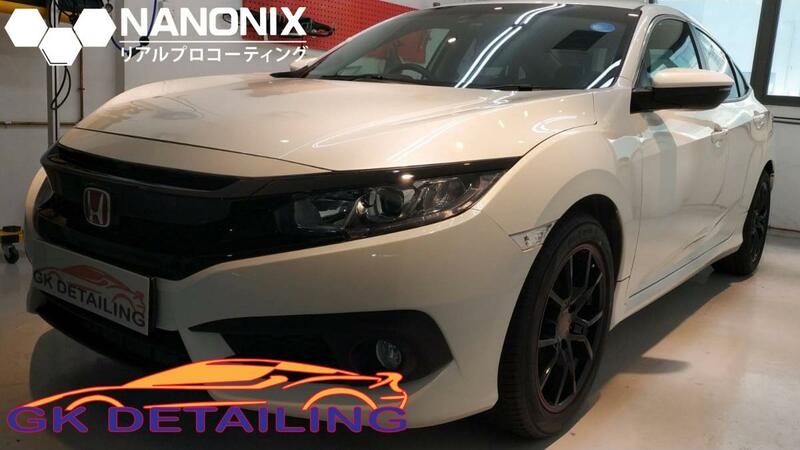 PPF is superior to Ceramic 9H Coating, and this has made more and more customers turn to PPF due to its rock chip protection and self-healing properties that Ceramic 9H Coating lacks! With these constant developments and addition of value-added services for our customers, GK Detailing became a full-fledged professional Detailing Centre that provides Ceramic 9H Coating, Paint Protection Film, and Vinyl Wrapping! One of the secret formulas why GK Detailing is able to upkeep our quality customer service and highly intricate workmanship is due to the stability in GK Detailing. In fact, one of our proudest achievements is going through all the proper trainings to acquire the correct skill sets to enable our staff to carry out their job at hand confidently and professionally! In addition, GK Detailing has 0 staff turnover! 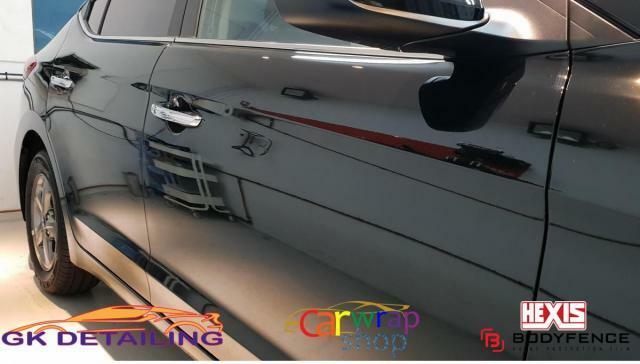 All our staffs have been with us since the incorporation of our car detailing business. 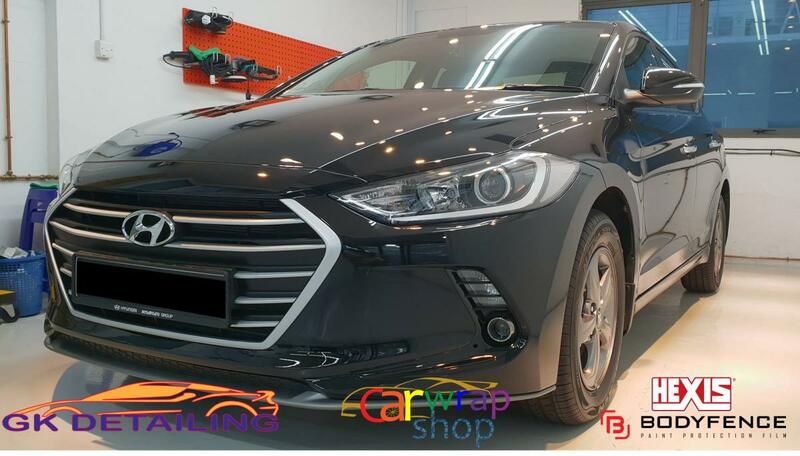 Customers who have been with the company since the beginning have become friendly with our staffs, giving them a sense of "family" with GK Detailing. These good relations with our customers has propelled GK Detailing to greater heights as we are constantly being introduced to new clients by our existing customers. As the saying goes, what is a business without the ardent support of its existing customers! We here at GK Detailing aim to provide one of the best experiences to our customers. 1. Excellent customer service, even after sales. 2. Patience to inform our customers well on the services they are interested in. 3. Clear communication between GK Detailing and Customers. 4. Focus more on workmanship - Quality over Quantity. 5. Proper training and certifications. 6. Professional high-quality products that are tested and certified properly. 7. Never-ending pursuit of perfection. Edited by Lightsabre, 18 November 2018 - 08:08 PM. How do we wash car? Is our Car Wash Standard the same as cheaper options out there such as at Petrol Kiosks? We spend 25-40 minutes washing a car thoroughly, inclusive of interior cleaning, while Petrol Kiosks spend 10-15 minutes to complete a car wash! We pride ourselves in washing our customers' car properly! We do not compromise, we do not rush! This Video Showcases our car wash process - time-lapse version! Car Wash starts at $15, Strictly by Appointment Only! PM us or WhatsApp us at +6596588936 / +6591551806 to make a car washing appointment with us! Edited by GKDetailing, 30 November 2018 - 12:12 PM. 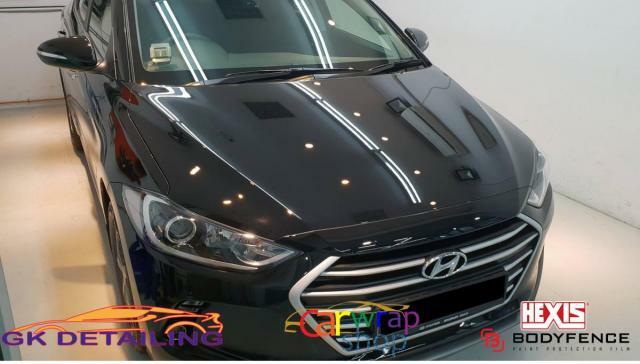 Hyundai Elantra protected by HEXIS BODYFENCE Paint Protection Film! Paint Protection Film is the ultimate way to protect your car paint! Self-healing properties to make sure your car is swirl free and rock chip protection to prevent paint from chipping off! With further gloss enhancement on your car to make sure your car remains glossy and shiny for years to come! Common areas to install PPF will be Front Bonnet, Front Bumper and 4 Doors! No more paint chips, no more frustrating chip offs from other cars banging their doors on side of the car! HEXIS BODYFENCE is made in France and comes with 7 Years Warranty against cracking, yellowing and blistering! Enquire with us now on our pricing on Facebook or WhatsApp us 96588936 for a quote! Hyundai i30 Hatchback on our NANONIX DIAMOND Ceramic 9H Coating with 8 Years Warranty! We showcase our coatung process, to allow our customers and potential customers to see how we actually coat a car! The whole work process is being recorded via timelapse so as to shorten the time of the video. NANONIX DIAMOND Ceramic 9H Coating is a Dual Component Ceramic 9H Coating that uses 2K Ultrasonic Spray System to coat on the car's surface! 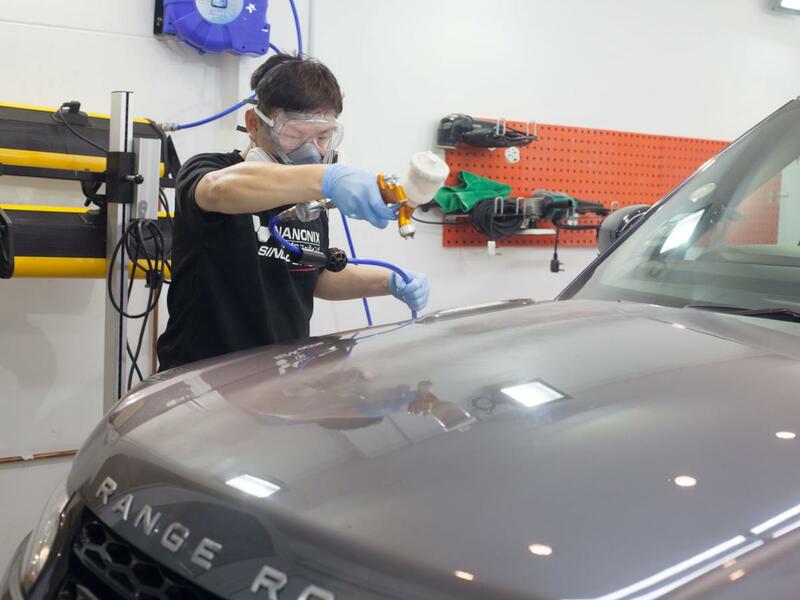 By spraying, coating is more evenly distributed, giving a better finishing that lasts forever due to its permanent bonding nature of the coating! Hi, may i know the difference between Nanonix C7 and Diamond? Thank you! NANONIX C7 and DIAMOND are both Ceramic 9H Coating from NANONIX, however, the main difference is in the overall thickness and size of the nano particles in the formula! 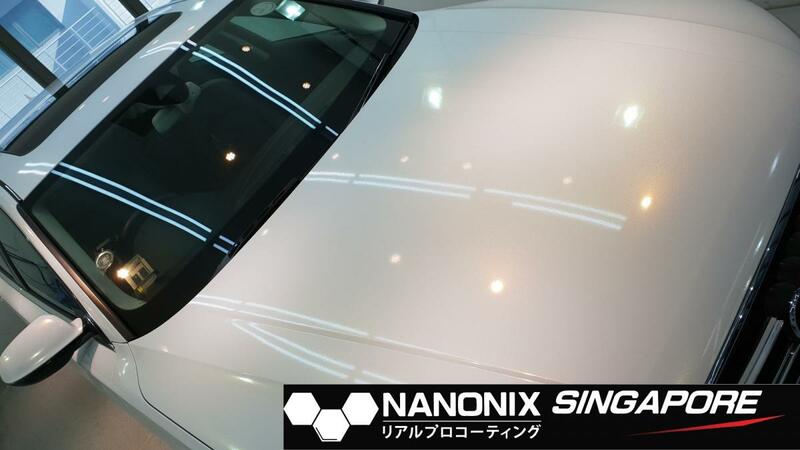 For NANONIX C7, it is applied onto the car's surface using Applicator Pad, while NANONIX DIAMOND is sprayed on using a professional spray gun. This is because the nano particles must be small enough to pass through the nozzle of the spray gun. C7 has bigger nano particles, thus it cannot be sprayed onto the surface using the spray gun. Smaller nano particles allow the ceramic coating to penetrate into the pores on the clear coat and fill these pores up, thus forming permanent strong covalent bond. As for thickness, NANONIX DIAMOND is thicker as it is a Dual Component Ceramic 9H Coating, it comes in 2 parts. The first part is the permanent bond layer that hardens the surface up to 9H Hardness. 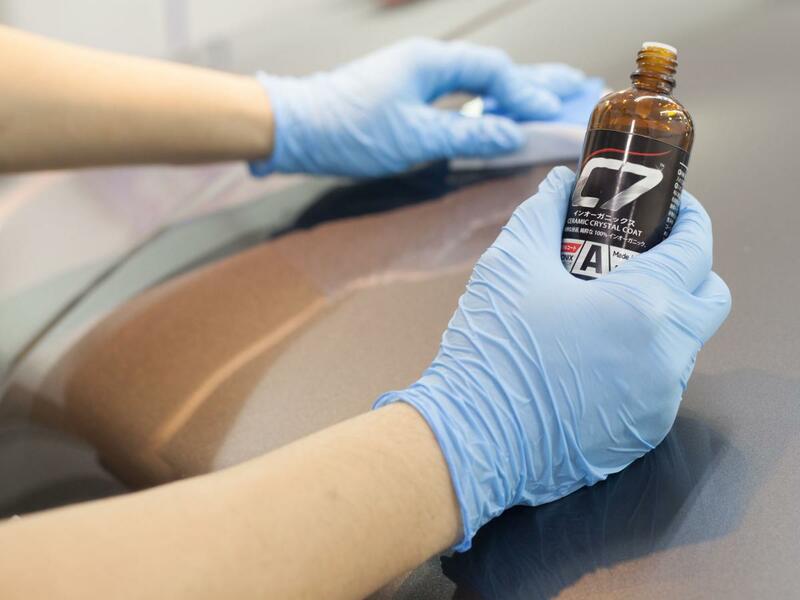 The second part is to add on to the first layer to form a thicker layer that gives depth and gloss to the surface of the car. NANONIX C7 is single component, therefore application is only done once. However, customers can choose to do more layers by topping up a minimal amount. Why don't you give us a call at 96588936 and we can better explain to you in greater depth about the difference between our 2 ceramic 9H coating! 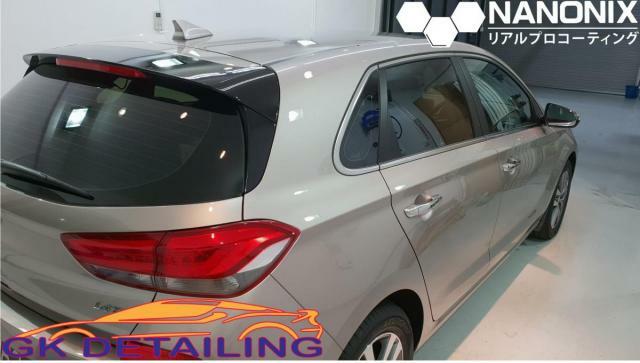 Hyundai i30 Hatchback in for NANONIX DIAMOND Ceramic 9H Coating with 8 Years Warranty! We spent a good amount of time polishing this car before sending it into our dust free coating room to spray on NANONIX DIAMOND Ceramic 9H Coating to protect this car and at the same time, increase the gloss and depth of the colour of the car! 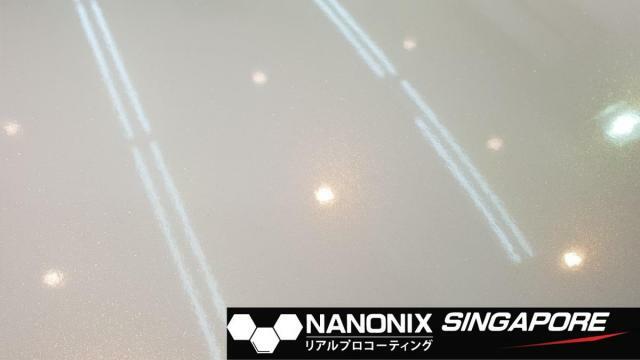 PM us or WhatsApp us at 96588936 / 91551806 to find out more about NANONIX and our services! We are back today to showcase a White KIA Cerato on our HEXIS Bodyfence Paint Protection Film! 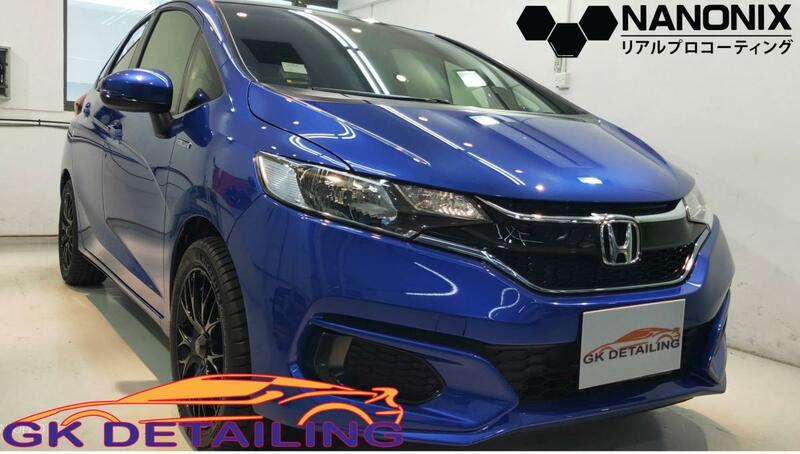 Contact us at 96588936 / 91551806 for more information and we can customise a plan that suits your driving needs to protect your car's paintwork! **December promotion going on! Contact us for more information! 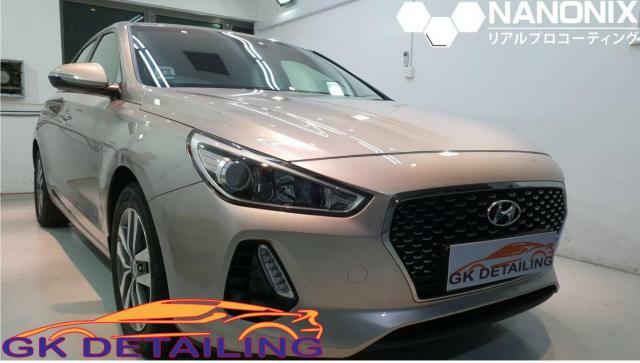 Edited by GKDetailing, 14 December 2018 - 03:23 PM. 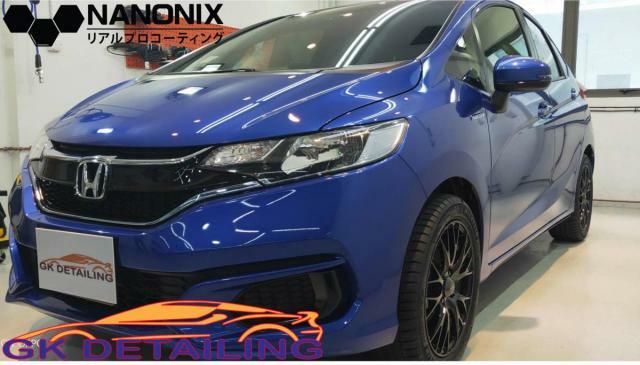 Honda FIT on our NANONIX C7 Package with 5 Years Warranty! 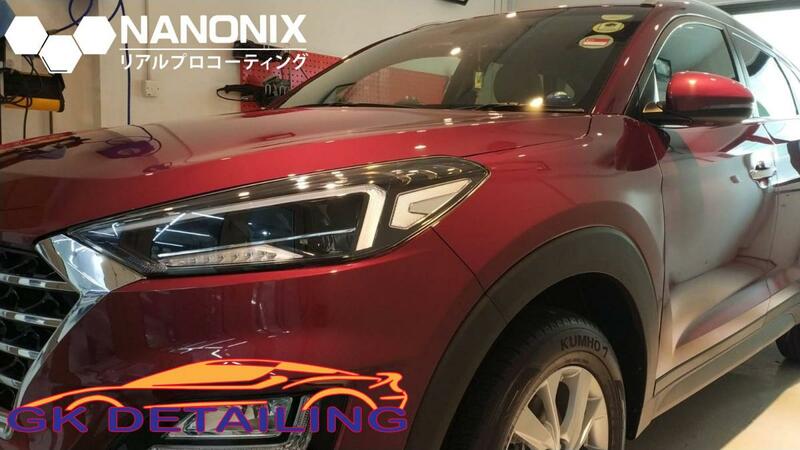 After hours polishing this FIT's paintwork to a shine, we proceeded to coat this car with NANONIX C7 Ceramic 9H Coating to protect the surface of this car! Get the above properties on your car today! Promotion prices starting from 💥$388💥! Genuinely Made in Japan! PM us or WhatsApp us at +6596588936 / +6591551806 for a free quote today! 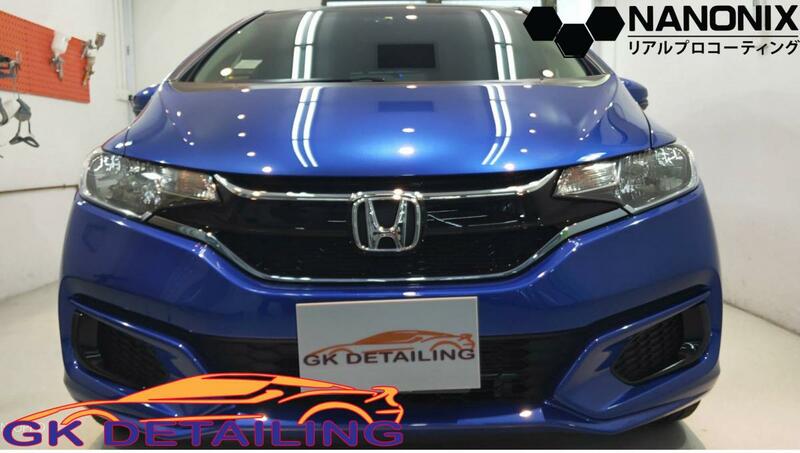 Hexis Bodyfence Paint Protection Film is one of the best Paint Protection Film in the market! Watch how we carefully installed Hexis Bodyfence on the Roof, Front Bonnet and Front Bumper of this Volkswagen Golf GTI! Contact us at +6596588936 or +6591551806 today for a free quote! We are able to customise a plan for you to allow you to protect parts that means the most to you! We are happy to listen to your requirements and craft out a PPF package for you! Merry Christmas! 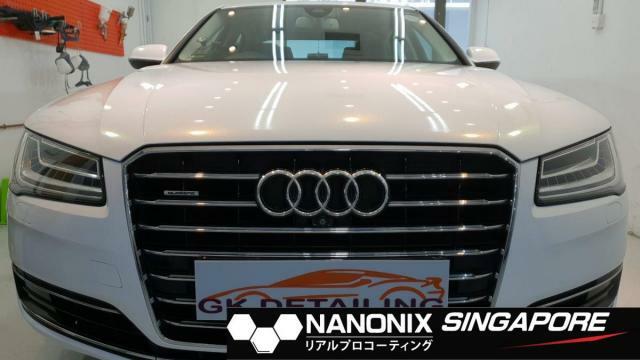 A compilation of our customers' cars and the after effect of NANONIX Ceramic 9H Coating application (: welcome to view our Gloss Showcase Compilation Part 1! 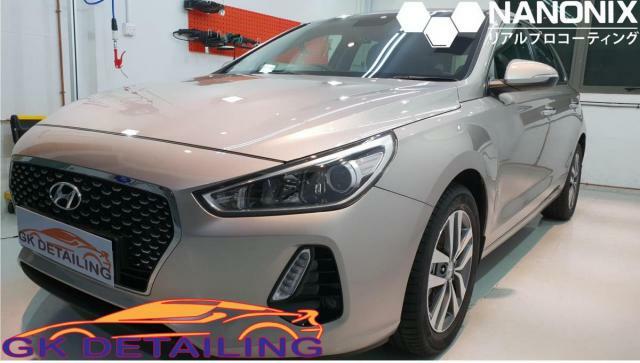 Edited by GKDetailing, 25 December 2018 - 10:08 AM. GK Detailing - HEXIS BODYFENCE PPF Showcase Honda Civic - Best Watched in 4K! Edited by GKDetailing, 26 December 2018 - 09:36 AM. Lambretta Scooter coming in for Nanonix Diamond Ceramic 9H Coating! Yes we do motorbikes too! 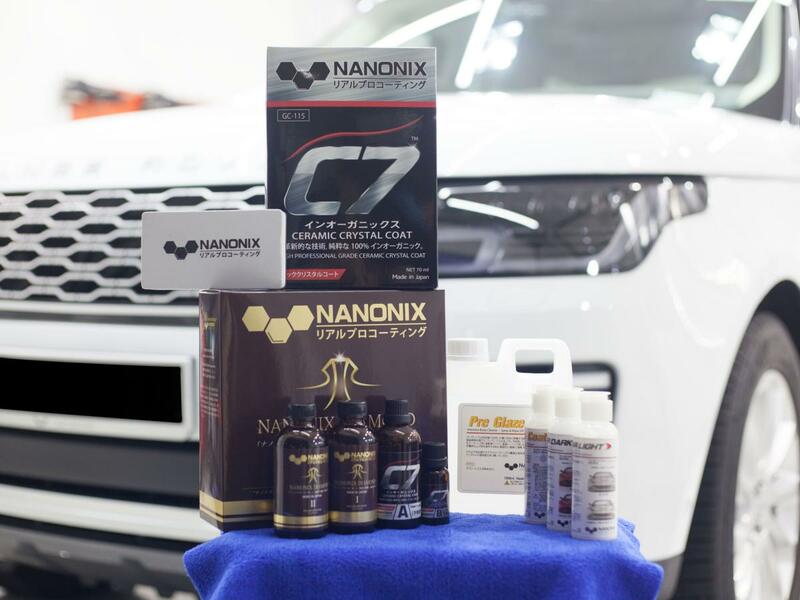 Get the surface of your motorbikes protected with NANONIX Diamond Ceramic 9H Coating today! Advantages includes easy removal of road tar, bird droppings and tree sap! Time to wash your bike is also faster due to the easier cleaning! Watch our coating process on this Lambretta! 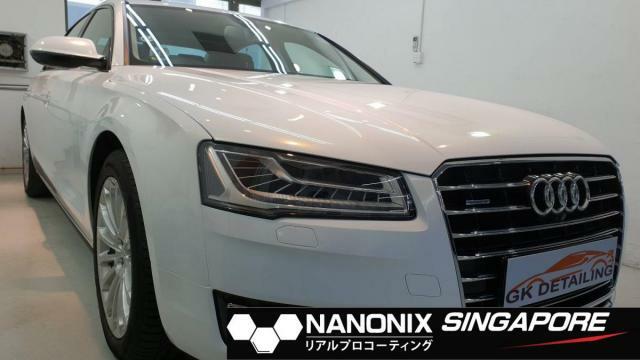 NANONIX Ceramic 9H Coating January Promotion starting at $388 onwards! Another Car Vinyl Wrapped and then Coated with NANONIX C7 Ceramic 9H Coating! 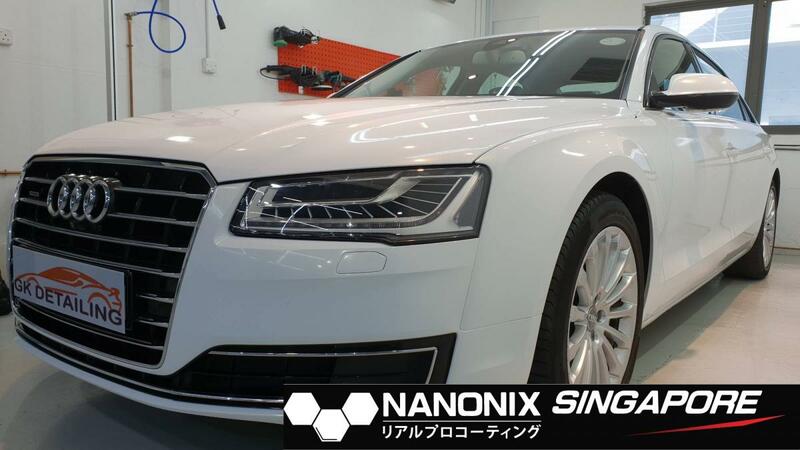 NANONIX C7 protects your vinyl wrap from colour degradation, giving Vinyl surfaces hydrophobic properties to make it easier to clean! 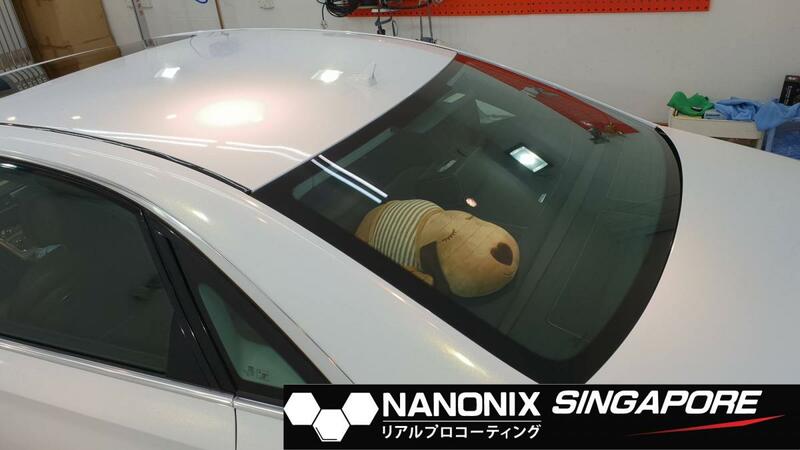 NANONIX C7 Full Exterior Package starts at $388 for December Promotion! WhatsApp +6596588936 / +6591551806 or PM us for pricing and latest promotions! Edited by GKDetailing, 31 December 2018 - 12:46 PM. 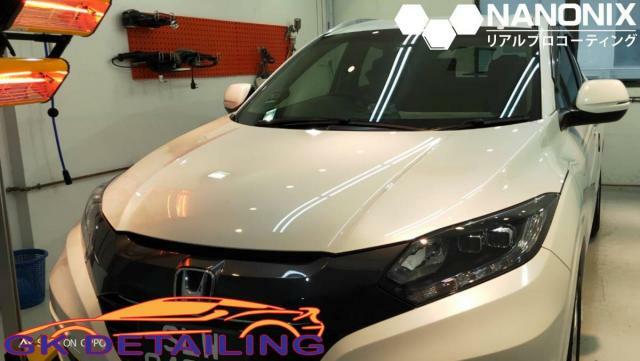 GK Detailing - HEXIS BODYFENCE PPF Showcase Honda Airwave - Best Watched in 4K!